May 8th in Premium Themes by Wordpress Jedi . WordPress is a great platform to take advantage of if you are a business owner. It can save businesses time and money and give them the head-start they need to bring their business online. 13Floor is the latest business theme from Elegant Themes that is designed for those who are looking to give their websites an edgy look. The theme comes with multiple color schemes but has a dark look and feel to it. It can be used to create post or page based portals. So it can be used for businesses with only one product or those who are in a later stage of their development. 13floor is quite versatile. It can be used to build a business portal, but if you are just looking to give your blog a whole new look, 13floor can come in handy as well. The theme is image friendly as well. The automated thumbnail-resizing feature is pretty convenient as well. The design is compatible with top browsers such as Opera, IE, Firefox, and Chrome. So all your users can get the same look and feel on those browsers. What I love about 13floor is its powerful back-end. It comes with plenty of options and lets you customize your portal without having to write a single line of code. You can change the color scheme for your theme from the back-end. You can also change your navigation and omit those categories or pages that you don’t want to show up in your navigation bar. 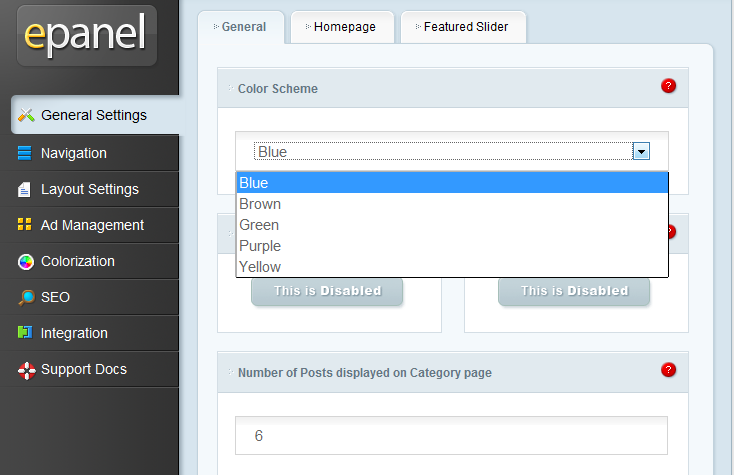 You can also enable or disable blog format (depending on how you want to use this theme). 13floor is search engine friendly as well. 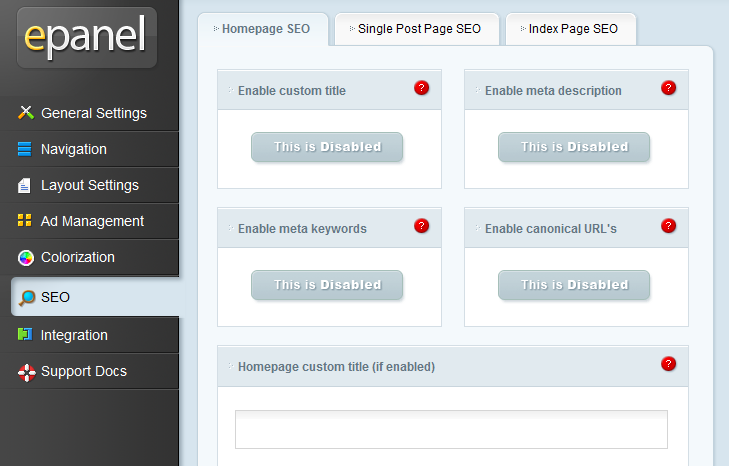 You can define custom title tags, meta tags, and even enable canonical URLs for your blog or portal. You can also manage your ads from the back-end as well. 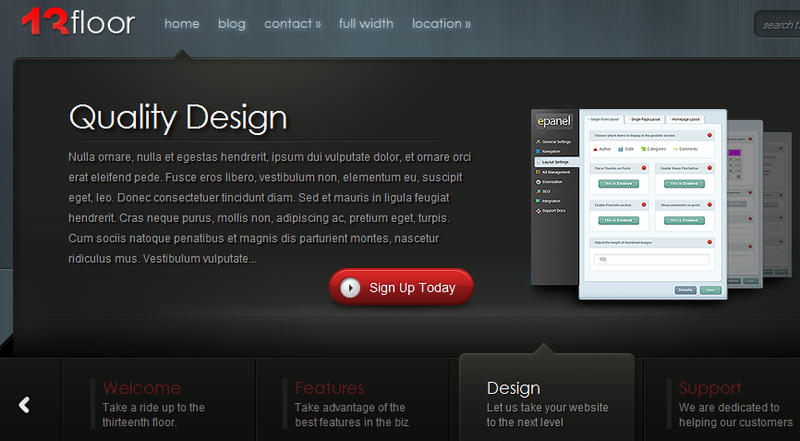 So the theme has everything you need to build a killer portal without installing too many plugins. If you are a product maker or just an entrepreneur looking to start a flash website for your new venture, 13floor for WordPress can come in very handy. It’s attractive, very dynamic, and quite affordable.